Long weekends are so precious and they are the perfect opportunities to travel aboard. While there are only 4 long weekends, simply take 5 annual leave days to unlock and complete 9 long weekends. 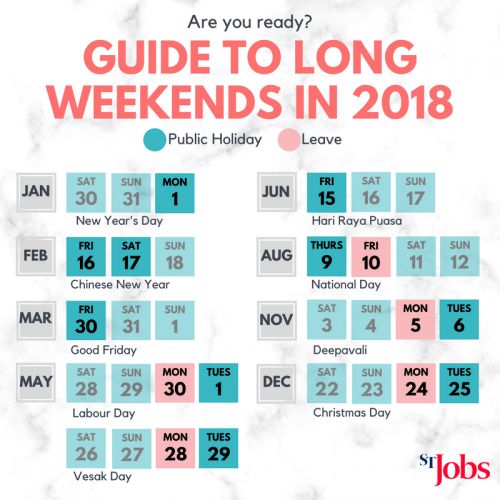 Plan ahead and chope your leave for 2018 now!